We’re back at Stardom as we have two days worth a shows to be covered since they had three matches each and plenty to give you all a full article, unlike the last show. I know this is technically day 6 and 7 if we’re going by the actual schedule but that’s they considered the noon and night show as two separate show days instead of just one, so I’m going by the actual day instead of the tournament day if that makes sense. Anyway, we got some big matches for these two days and things are starting to shape up as possible chances of winning. So let us…dive right in. Review: So Hazuki suffered her first loss at the previous show due to Nicole Savoy robbing her of her undefeated streak and now she looks to get back into the race with her Hazukistral as her next opponent is Jamie Hayter who has an even record right now. Jamie is looking to win both shows this weekend to help put her into the lead, can she do it or will Hazuki bounce back? Sumire, what’re you doing with AZM’s stolen mask? Anyway, a nice and slow build-up of a match with Jamie at the beginning mocking Hazuki’s height with the test of strength and moving her arm a bit higher due to the fact that Hazuki is a bit shorter than her and she even wiped her hand on Hazuki’s leg for good measure, but Hazuki had enough and stomped on her foot to get some offense into the match. Jamie looked good in this match too and even gotten creative with her arsenal when it looked like she was gonna do a Falcon Arrow and instead dropped her down to do a Lungblower instead as Hazuki was still able to kick out of it. Hazuki did her Springboard Dropkick and covered her for a two but turned it around into the Crossface and was unable to make her tap out. Hazuki went for the Atomic Bombs Away aa Jamie moved out of the way and Hazuki was able to pull off the Hazukistral once again to give herself another victory. Review: Right now, Nicole has a good lead in the top spot since she’s now tied with both Hazuki and Momo Watanabe but she could be in first place if she defeats her next opponent, Mayu Iwatani. Mayu had a rough start in the tournament and has picked up back to back wins at the previous shows to help her catch up a little bit and now she has a chance to stay in the race and tie with the others if she does somehow win here against her. Can Mayu get a third win in a row or will Nicole kick her down to become first place? Some people do seem to forget that Mayu’s elbow is still in some bad shape when she injured it last year, but not Nicole as she actually works on the injured body part during the match with her submissions and that’s smart of her to do that since you always wanna exploit their weakness to help you secure your chances for a victory over your opponent. This match was nice and technical as I keep on getting more impressed with Nicole Savoy here compared to Jamie and Kelly when it comes to the gaijins on my block, I like all three of them but Nicole so far has impressed me more than the other two. Mayu still selling amazingly while still holding out her own against Nicole here to give us a solid bout here between the two with nothing too major for them to do in the match either, and sometimes you don’t really need to do anything flashy to have a good match and these girls show that here. Nicole attempts to go for a German Suplex until Mayu fights out of it to roll her up for a two count, but Mayu quickly rolled her up again in a Crucifix position to get the three count this time around! 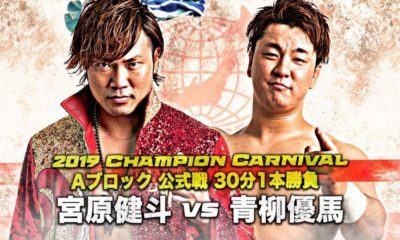 Review: So the last time they fought was on the August 12th show when it was for the Wonder of Stardom Championship and Momo was able to retain her title against Saki in a great bout. Now they must fight again during the tournament so try to advance and Saki isn’t in a great position right now and is probably close to being eliminated or going to be if she loses to Momo again. Can Momo make lightning strike twice or will Saki pull off another upset like when she defeated Mayu? Gonna be honest, part of the match felt a little bit underwhelming, I mean it was good but compared to their title match about a month ago, it was a little bit disappointing. My big problem with the match is that I felt like they were out of sync during certain spots and most of the strikes they did weren’t fully connecting at the same time either and it did hurt the match quite a bit in my opinion. Now that I got the nitpicking out of the way, Momo despite the issues with the match was still dominating and controlling most of the match to keep looking strong. Saki still had good agility and would find ways to counter most of Momo’s big moves when she would need to so she could outsmart her. Momo would hit her Tequila Sunrise on Saki and instead of going for the pin, she would go to do another Tequila Sunrise but Saki would duck down to roll her up for a two count. Saki would roll Momo up from behind one more time and would get the three count for another surprise win! Now that Saki was able to beat Momo again, do you think she would get another rematch for the Wonder of Stardom Championship once the tournament is over? Could be very well likely, but we’ll see. I was supposed to have a match here between Saki Kashima and Natsu Sumire, but we found out that Saki got hurt and was unable to compete meaning Sumire would get the bye victory over Saki and that pretty much sealed her fate of being eliminated, Sumire most likely also at this case. Review: Now that we had one match canceled, the first one for the blue stars block is Kelly Klein making her return and taking on Jamie Hayter, who hasn’t had a great run herself and would need to beat Kelly somehow or she’ll be considered eliminated mathematically. Kelly is in a decent spot since she has about three matches left to do and could be in an okay position if she wins this one here. Can Jamie hold on for much longer or will Kelly overpower her? Kelly keeps on impressing me whenever I see her performing here in Stardom and this match is no different here as she gives us another solid performance against Jamie here. Jamie despite her losing the majority of her matches, has still been performing well in her matches and has been an enjoyable part of the roster that I hope to see her in more tours when available. 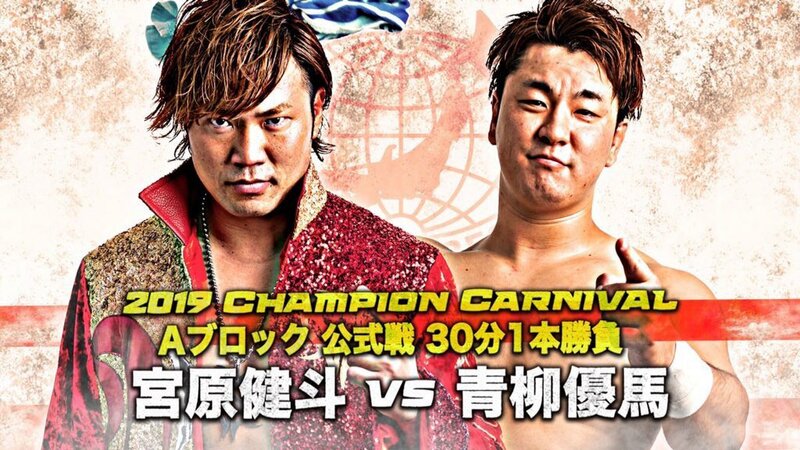 For what they had to work with here, they gave us a solid bout that was short, sweet, and to the point which is probably for the best for this match. Kelly is just too powerful and just likes to throw Jamie around as if she was nothing while Jamie used her technical ability to give Kelly a run for her money also. Despite Jamie trying her best to take down Kelly, she failed to do so when Kelly hits her Fireman’s Carry Slam and picks her up to knee her in the face to double tap Jamie for good measure as she picked up the win and Jamie is eliminated. Review: Our main event of the evening is here with Momo Watanabe taking on her rival, Hazuki. 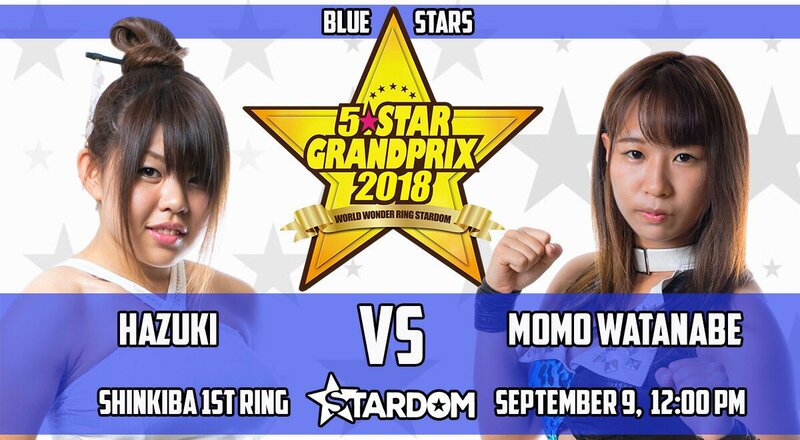 The last time these two fought in July, Momo defeated Hazuki in a great match to retain the Wonder of Stardom Championship and it left room to show that these two would cross paths once again, and that rematch happens to be today. Both of these women are at the top of their blocks and a victory here for either of these women would put them in first place and in a strong position. Can Momo win twice in a row or will Hazuki redeem herself here? Wow, that’s really all I can say about this match. Joking aside, both of these women brought their A-game here tonight and just their intensity alone was enough to carry over the story in this match since they pretty much tried to kill each other any chance they get. Momo was more vicious than usual in this match, mostly due to the fact that she was fighting Hazuki in this match and it felt like she still had something to prove to her since both of them are young and future stars of the company, maybe Hazuki had more to prove due to her being overlooked when they were together in Queen’s Quest. All the kicks, Dropkicks, high impact moves, you could just feel everything from how they delivered their moves and just how into it they were. Hazuki was able to hit her Atomic Bombs Away and it looks like this could be over, but Momo surprisingly kicked out of the move, what a match! Hazuki started getting desperate and Momo was able to turn it around to hit the Tequila Sunrise, but the bell would ring soon as the referee started counting, meaning it was a draw due to the fifteen-minute time limit expiring. After the match, Hazuki would grab the microphone first and told Momo that they’re both tied with seven points each but it didn’t matter since she still has a flatter stomach than her. Momo would tell her the only reason she cares about her stomach is that she can’t beat her for the belt. Hazuki told Momo that she didn’t win either and she should start looking like a champion, but also reminds her that she only has one match left while Hazuki has two left meaning she could surpass her if she wins both bouts. This feud is becoming more interesting and is probably gonna be in my top feuds list for the year if they keep this up. 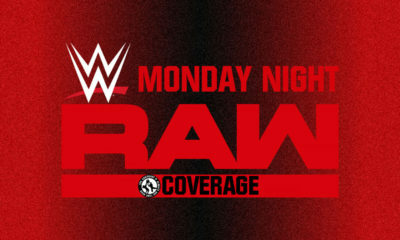 Overall: Some of the matches were decent at best and we at least had a great main event during the second show to end this article. Some people have about one to two matches left and right now we’re starting to see who are our possible people to win the whole thing. Right now, our only possible winners here are down to Momo Watanabe, Hazuki, Nicole Savoy, Kelly Klein, and Mayu Iwatani. So their next set of matches would give us a clear direction as some of them could be eliminated depending on who they fight.